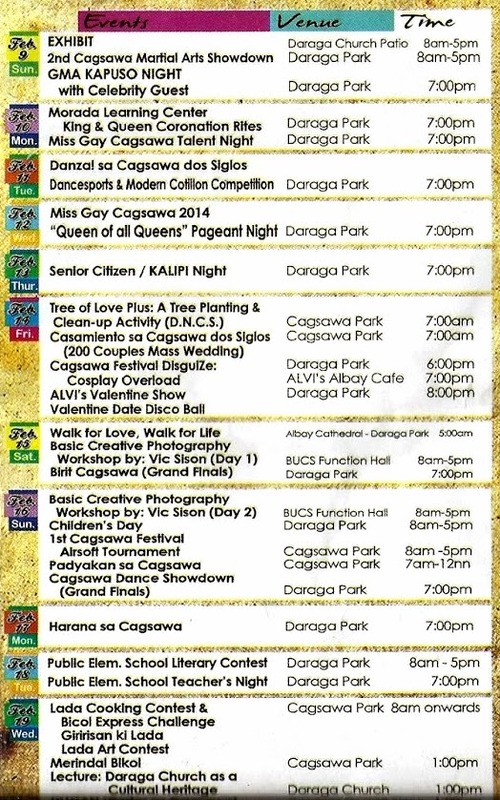 Cagsawa Festival 2014 | Schedule of Activities - Balita Boss! The historic province of Albay celebrates the Cagsawa Festival, dubbed as Cagsawa “Dos Siglos” this February. Cagsawa “Dos Siglos” (Two Centuries) is the third edition of Cagsawa Festival. It is also the 200th anniversary of catastrophic Mayon Volcano eruption in February 1814. The eruption buried the Franciscan built Baroque Cagsawa Church and left what is now the world famous Cagsawa Ruins. Cagsawa Ruins is now become one of the most popular landmarks of Albay Province. The town of Daraga and the Albay province have teamed up for the month-long festival that will focus on the site of the ruins. The Grand Opening Night will be on February 1, 7:00 p.m. at Ninoy Aquino Park. 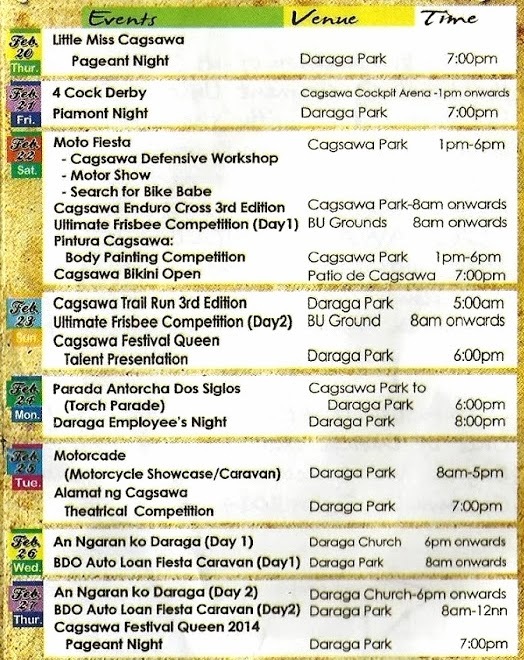 The highlights for 2014 Cagsawa Festival are composed of activities and entertainment for guest including dance showdown, theatrical competition, Miss Gay, singing contest, bikini open, Mutya ng Cagsawa, street dancing, religious activities and many more. Check out the schedule below.